Hire the top 3% of freelance Twitter Bootstrap developers. Toptal is a marketplace for top Twitter Bootstrap developers, engineers, programmers, coders, architects, and consultants. Top companies and start-ups choose Toptal Twitter Bootstrap freelancers for their mission-critical software projects. As with any technology, and especially with frameworks, there’s a difference between knowing Bootstrap and really knowing Bootstrap. As the framework gained more popularity, the population of developers that are using Bootstrap has grown significantly in the last few years. But true Bootstrap experts know more than simply how to create a webpage with default Bootstrap settings. They know hidden gems of the framework, they understand all the caveats, and they know how to work around limitations. The end result of a true expert is a website that nobody would ever expect to run Bootstrap underneath the hood. 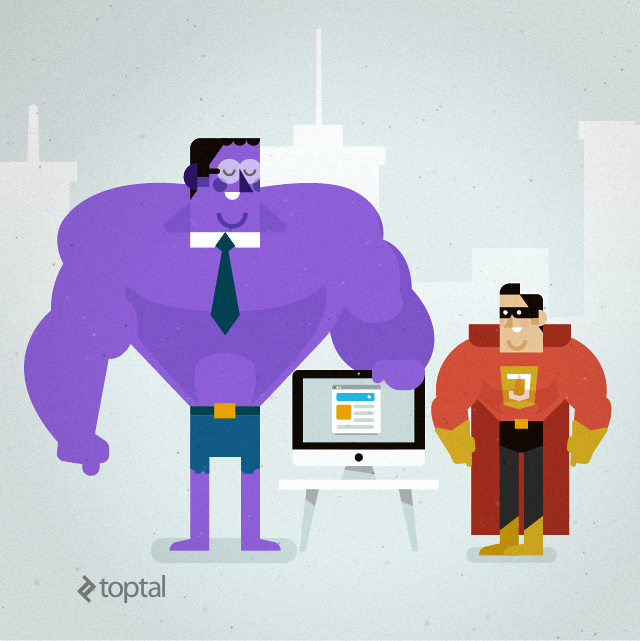 This article offers a sampling of questions that are focused on identifying those kinds of developers who understand Bootstrap in its core. Toward that goal, this article offers a sampling of questions that are key to evaluating the breadth and depth of a candidate’s mastery of the Bootstrap framework. It is important to bear in mind that these sample questions are intended merely as a guide, as described in our post In Search of the Elite Few. Not every “A” candidate worth hiring will be able to properly answer them all, nor does answering them all guarantee an “A” candidate. At the end of the day, hiring remains as much of an art as it does a science. Knowing the basics is important. I can’t stress this enough, read the documentation, play and experiment with provided samples, and get the basics right. Q: Discuss the differences between available Bootstrap variations. Bootstrap is available in two forms: as a precompiled version and as a source code version. Each one is appealing to different skill levels and a different use case. Q: Explain how can you include precompiled Bootstrap files inside your existing project, and what you need to change if you break the initial folder structure. As mentioned in previous question, since precompiled comes with all compiled and minified files, and no additional special setup is needed. Basically, it doesn’t matter much where you place provided Bootstrap files. You can easily place the files inside your existing folder structure. The only important thing to take care of is that the Glyphicons fonts folder is on the same level as the CSS folder. In case you want to move or rename font files, you need to update the CSS in one of three ways: * Change the @icon-font-path and/or @icon-font-name variables in the source Less files. * Utilize the relative URLs option provided by the Less compiler. * Change the url() paths in the compiled CSS. Q: Describe which CSS reset rules are set, and how Bootstrap changes default browser’s ‘user agent’ stylesheet. Every browser has its own default user agent style sheet that is applied to the HTML. To overcome the differences between the browsers, Bootstrap comes with normalize.css, an HTML5-ready alternative to CSS resets. Then are defined some default style settings; to name a few, global default font-size is set to 14px, line-height to 1.428, default font is changed to Helvetica with Arial and sans-serif fallback. All these styles are applied to the <body> and all paragraphs, with the addition that <p> (paragraphs) receive a bottom margin of half their computed line-height of 10px. Besides these defaults, there are also customizable styles for standard HTML tags that bring more consistency to the text, such as highlighted text (<mark>), deleted text (<del> and <s>), underlined text (<u>), small text (<small>), and bold text (<strong>). Alignment classes help to arrange content on the page more easily by using .text-left, .text-center, .text-right, .text-justify and .text-nowrap classes. There are also predefined styles for block quotes, and unordered and ordered list with inline options, just to name a few. Q: Describe what Bootstrap offers in terms of components and plugins, and how can they be used. Q: Explain in which ways Bootstrap can be extended and adapted to a specific project’s needs. All the default Bootstrap styles that are bundled initially can be changed and overridden by using custom styles. You can overwrite in your own stylesheet default bootstrap colors, styles, margins, paddings, everything, and most importantly there is no need to touch the bootstrap.css stylesheet at all. Ever. In case of source code version, creating your own versions of LESS or SASS stylesheets can do it. In case of precompiled version, you can create your own CSS file and overwrite whichever style you want from the original bootstrap.css stylesheet. Create your new CSS selector, use it in the HTML, and as long you declare your CSS classes after Bootstrap styles your definitions will overwrite Bootstrap defaults. If you aren’t using any of Bootstrap’s interactive features, you can omit bootstrap.js and jQuery.js files from the HTML source. There is also an option to customize Bootstrap’s components, Less variables, and jQuery plugins to get your very own version, which will result in a much smaller file size and will include only components that are actually used on the webpage. Today, having a webpage with desktop version only is intolerable. 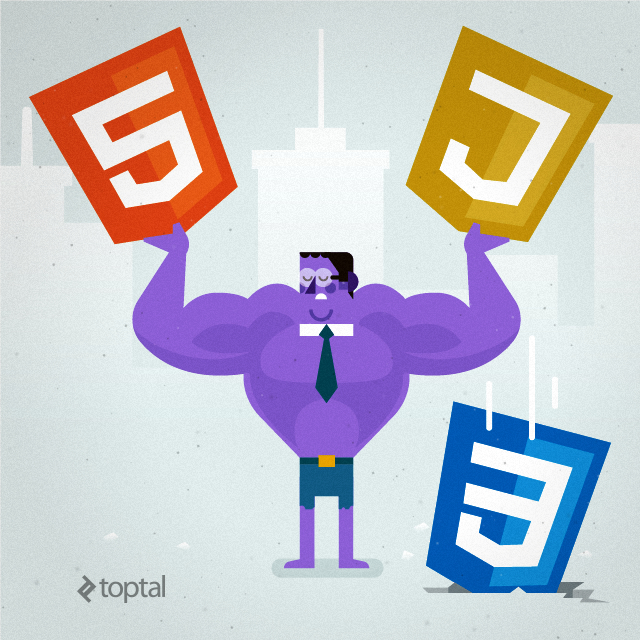 When choosing the right developer, you need to be sure that the candidate understands what a responsive design is, how it can be achieved, and how Bootstrap can help and ease development. Q: What is Bootstrap’s mobile first approach? Q: Explain how responsiveness is achieved and which rules should be followed. The responsiveness in Bootstrap is achieved using a fluid grid system that can be applied to appropriately scale up to 12 columns, according to the size of the device or viewport. Grids provide structure to the layout, defining the horizontal and vertical guidelines for arranging content and enforcing margins. To use the Bootstrap grid system, a few rules need to be followed. Grid column elements need to be placed inside row elements, which create horizontal groups of columns. You can have as many rows as you want on the page, but columns must be immediate children of rows. In a full row, the column widths will be any combination that adds up to 12, but it is not mandatory to use all 12 available columns. Rows need to be placed either in a fixed-width layout wrapper, which has a .container class and a width of 1170px, or in full-width layout wrapper, which has a .container-fluid class, and enables the responsive behavior in that row. The Bootstrap grid system has four tiers of classes: xs for phones (<768px), sm for tablets (≥768px), md for desktops (≥992px), and lg for larger desktops (≥1200px). These basically define the sizes at which the columns will collapse or spread horizontally. The class tiers can be used in any combination to get dynamic and flexible layouts. Q: Explain how a large table can best be shown on mobile devices. Dealing with large datasets that are in a table with many columns on large screens is a no brainer. Using a standard Bootstrap .table class on large screens will render a nice looking table, but on a small device cell text will break and wrap into the next line, possibly into many new lines and stretching the table vertically. Not to mention that a table this way is unreadable and shown data is unusable. The solution is to wrap a .table in the .table-responsive parent element, which will result in a table on phones (or any devices with less than 768px) will have full width with the possibility to scroll horizontally. The end result of a true expert is a website that nobody would ever expect that is run with Bootstrap.